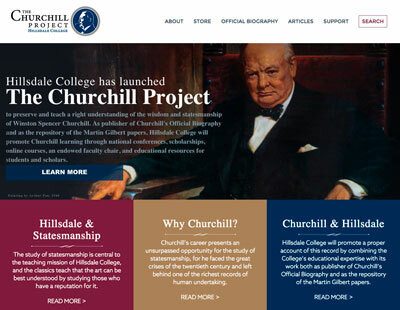 Why is “Churchill’s Secret Affair” (the tele­vi­sion title) impor­tant? Who cares? It mat­ters because the Churchill mar­riage was admirable and his­tor­i­cal­ly sig­nif­i­cant. 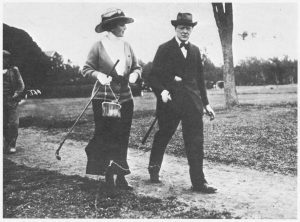 Win­ston Churchill would have saved lib­er­ty with­out his wife Clemen­tine, if not quite as effec­tive­ly. Shucks, call­ing him a mass mur­der­er is easy. But if you’re going to besmirch his mar­riage, you need to present facts. 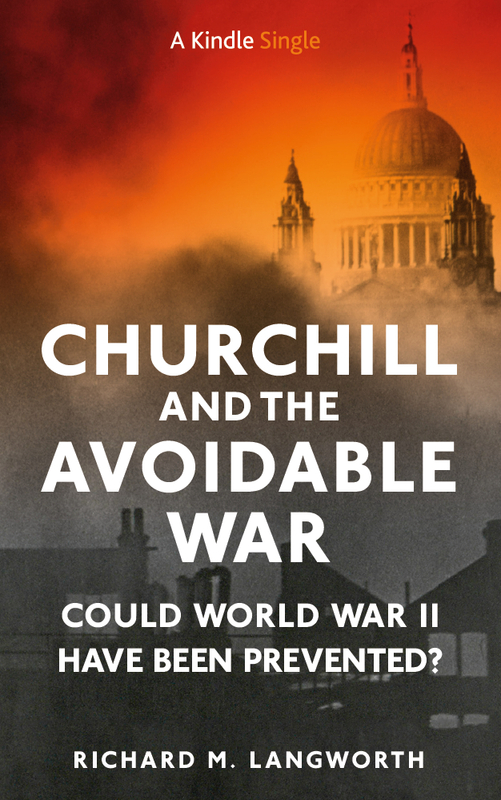 “The Castlerosse Affair” declares that Churchill’s phi­lan­der­ing, “hid­den until now, was some­thing in the nature of a bomb­shell.” It was nei­ther hid­den nor a bomb­shell. Rumors of it have been around nine­ty years—with con­flict­ing dates and two dif­fer­ent women. Iron­i­cal­ly, Doris, Lady Castlerosse, was also a friend of Elliott’s. Indeed, accord­ing to the authors, her affair with Churchill took place in 1933-36, at Chateau d’Horizon. 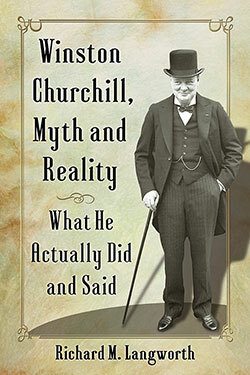 All this begs a rather obvi­ous ques­tion: What was Sir Winston’s reac­tion? After all, Colville says, he was right there. Did he admit his sin and ask for­give­ness? Hot­ly deny it? Would a man revealed to his wife as a phi­lan­der­er say noth­ing? Nei­ther Colville nor the authors tell us. In the 1980s I had sev­er­al con­ver­sa­tions with Jock Colville, whom I loved and respect­ed as a “keep­er of the flame.” I do not pre­tend they were of any great impor­tance, but we did dis­cuss Lord Bath’s belief in Churchill’s affair with Max­ine Elliott. Sir John labeled this ridicu­lous. He did not refer to Castlerosse. Of course, that is hard­ly dis­pos­i­tive. 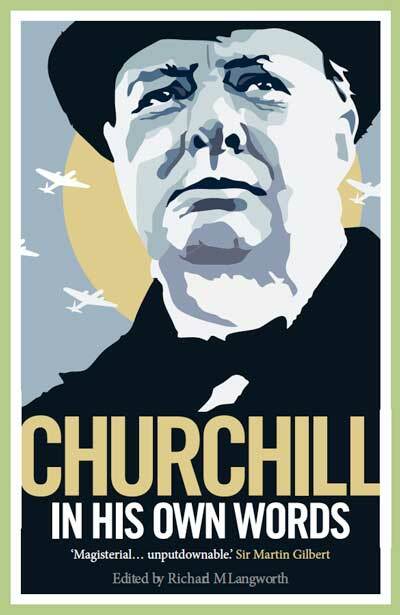 More­over, Colville did not even meet Churchill until 1940, years after the sup­posed indis­cre­tions. The best “The Castlerosse Affair” can offer is that “he believed it” and “would not have made the alle­ga­tion light­ly.” In my expe­ri­ence he was not above repeat­ing chat­ter among his social set. Before the Kel­ly episode, that is the only way he could have heard about it. The only real evi­dence Colville offered was the Kel­ly episode, but “The Castlerosse Affair” doesn’t tell us what Kel­ly thought. As it hap­pens, he thought a great deal. I knew Denis Kel­ly well, cor­re­spond­ed with him, and pub­lished an imag­i­na­tive arti­cle of his about con­vers­ing with the ghost of Sir Win­ston. He was a dear man, a gift­ed bar­ris­ter. 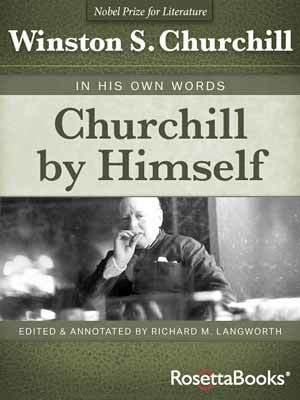 In 1947-57 he’d worked at Chartwell, Churchill’s home, sort­ing out the muni­ment room for his offi­cial biography—“to make Cos­mos out of Chaos,” as Churchill put it. Like Colville, Kel­ly laughed off the Max­ine Elliott sto­ry, say­ing it wasn’t the boss he’d known. “Of course,” he said hon­est­ly, “that was long before my time.” To the best of his belief, Sir Win­ston had nev­er been unfaith­ful (Churchill Archive Cen­tre, file CHOH 1/DEKE). 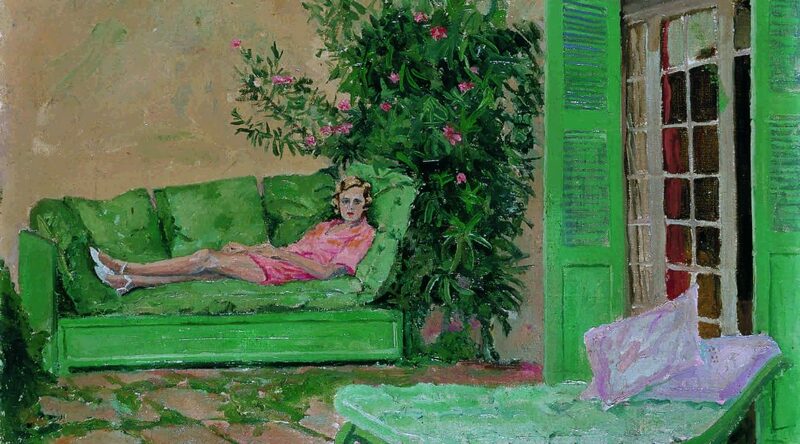 If, per Colville, he had hand­ed Lady Churchill “love let­ters,” he there­fore had no inkling of their content—which sounds noth­ing like the Denis Kel­ly I knew. Sur­viv­ing Churchill-Castlerosse cor­re­spon­dence can­not be described as “love let­ters.” Most of it com­pris­es the bread and but­ter notes peo­ple wrote in those days—how nice to see you, will you be back next sea­son, you were “a ray of sun­shine around the swim­ming pool.” At the same time, Churchill was writ­ing lov­ing­ly to his wife, describ­ing his days at Maxine’s and every­one present, includ­ing Castlerosse—not the let­ters of a cheater. “The Castlerosse Affair” tries to make the most of them any­way. 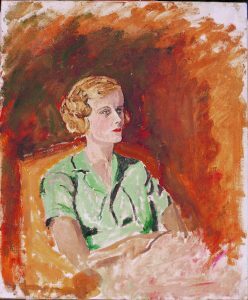 In 1937, Doris wrote Churchill: “I should like to see you. I am not dan­ger­ous any­more.” This, we are told, “could be read as an indi­ca­tion that the affair was now over, and that Doris did not mean to try to revive it.” She was refer­ring to her divorce, but it could equal­ly be read that she was over a case of ’flu. In it she pro­vides Win­ston with her Lon­don tele­phone. This has to be the first time in his­to­ry of affairs that the phi­lan­der­er did not have his mistress’s phone num­ber. Ah, but none of those paint­ings were as sul­try as that of a recum­bent Doris, wear­ing shorts, which is sup­posed to be reveal­ing. Every­body wore shorts on the Riv­iera in the 1930s. Yet on tele­vi­sion a roy­al biog­ra­ph­er says: “She’s lying down, so they’re halfway there.” Can these peo­ple be seri­ous? In 1942, years after the appar­ent affair appar­ent­ly end­ed, Doris was in New York, appeal­ing to Churchill to help her return to Lon­don. This he did. 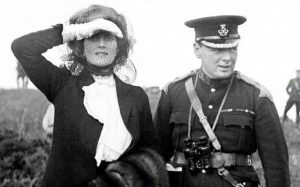 He often per­formed kind­ness­es for friends, but this, we are told, was cru­cial: It “could be tak­en to imply that Doris tried to black­mail Churchill with the por­traits.” Fur­ther­more, Churchill alleged­ly tried to get the paint­ings back. After Lady Castlerosse died in Decem­ber 1942, the paint­ings “end­ed up for a time” with news­pa­per mag­nate Lord Beaver­brook. 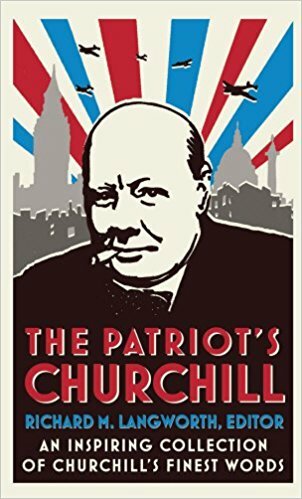 The tele­vi­sion show calls him “Churchill’s polit­i­cal fix­er.” More pre­cise­ly he was a some­time friend and part-time neme­sis. After the war, they returned to her fam­i­ly. Which again proves noth­ing. Where is the “sul­try” paint­ing today? To my amuse­ment, I tracked it to Lon­gleat, home of the late 6th Mar­quess, who told me the Max­ine Elliot sto­ry. There is humor­ous irony in the wrig­gles and wind­ings of this shag­gy dog sto­ry. “The Castlerosse Affair” also sug­gests that Clemen­tine her­self was unfaith­ful. “On the long cruise which she took with­out Win­ston in 1935, Clemen­tine ‘fell roman­ti­cal­ly in love’ with one of her fel­low voy­agers, Ter­ence Philip. Where­as it seems doubt­ful that she was react­ing to knowl­edge of an affair between Win­ston and Doris, the episode could be tak­en as indica­tive of a cool­ness in the Churchill mar­riage at this time.” It cer­tain­ly does seem doubtful—if she knew about it in 1935, she could not have “gone pale” when con­front­ed by the “love let­ters” two decades lat­er. In the tele­vi­sion pro­gram a Clemen­tine biog­ra­ph­er claims that their “mar­riage was on the rocks” at the time. (It omits to note the same biographer’s denials of both Clementine’s and Winston’s affairs.) Real­i­ty check: Ter­ence Philip was a per­son­able, social­ly use­ful art deal­er, often entrust­ed to accom­pa­ny unescort­ed women. 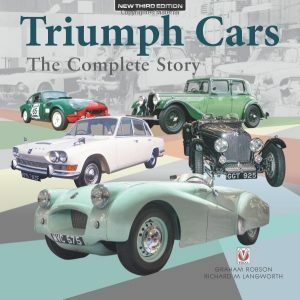 Lady Soames, Clementine’s daugh­ter and best biog­ra­ph­er, told me her moth­er nev­er gave rea­son to believe Philip was more than Clementine’s affec­tion­ate com­pan­ion. Thanks for stand­ing up for the truth.